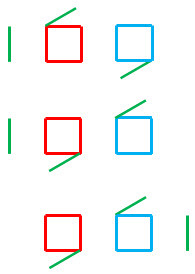 Make 1 square from 3 squares by removing 1 stick and moving 3 sticks. I suspect a catch question. You have 12 matches. I notice that you can make the four letters of NINE (a square number) using 11 matches. One snag: I need to move 4 matches not 3. Someone will come up with a better solution I'm sure. 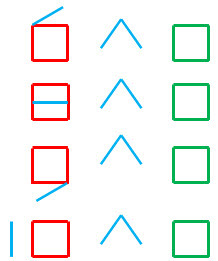 Three green matches are relocated to form a '4' in front of the red '0', and one green match is removed. This forms the number 400, which is a square (20 x 20). Inspired by Bob's idea of nine being a square number.